every so often we do a spotlight on a place or event. as we are coming up on our 15 year anniversary i thought it fitting i shine the light on our very first account. when i first started kai i didn't know what i didn't know. what i did know was that my first sales call was going to be to nicole, manager and buyer extraordinare, at angel in montecito. an hour from malibu and beyond gorgeous, sleepy, quaint and subtle best describe santa barbara's this-close neighbor to the south that feels a world away. 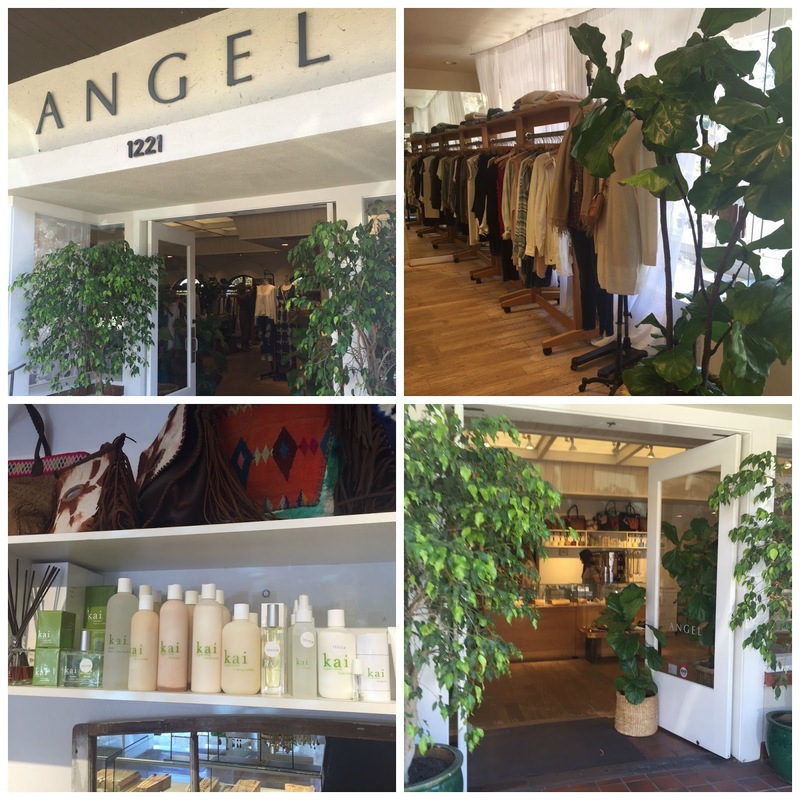 the main street finds angel which happens to be one of my favorite shopping destinations when i'm visiting and i love to visit. this tiny boutique stocked with "must haves" and "didn't know i needed that" is so culled down and organized that it almost seems as though they are putting on a trunk show just for you in the closet of your dreams. elizabeth and james, tori praver, jen's pirate booty and kai among others. with great lunch options nearby it's worth a detour if you're in the area! p.s. robin is now doing the buying and i'm thrilled she has the same amazing eye nicole did!